Monroe police are searching for a man who robbed an armored-car guard this morning then fled with the money — down the Skykomish River on an inner tube. The robbery happened around 11 a.m. in the Bank of America parking lot at Old Owen Road and Highway 2, said Debbie Willis, department spokeswoman. The man watched as a security guard walked from the bank to the armored car with an undisclosed amount of cash in canvas bags, Willis said. He then confronted the guard and sprayed him with pepper spray. According to witnesses, the man then "grabbed ... the money and ran on foot to the river," Willis said. "He got into an inner tube and floated westbound." Al Green recorded a string of soul classics in the early 1970s, including Take Me To the River and Tired of Being Alone. However, he turned to God following an incident in 1974 in which a girlfriend doused him with a pan of hot grits before shooting herself dead. Al Green...was a captivating preacher. He delivered his sermon underscored by a live band, and would break into song when duly inspired. The congregation whooped their appreciation as he rhapsodised about God's mercy and love. He was sensitive enough to their concerns, too, to address a subject that was clearly worrying his flock: Congress's Wall Street bail-out and its implications for their homes and livelihoods. "Get us out of this mess," Green implored the Almighty, to cheers from the congregation. "Help the country out of this financial crisis." Worshippers called back their approval: uh-huh. That's right. Tell it like it is. Green wasn't just relying on the Lord to deliver the United States from economic turmoil, however. Later, he acknowledged that he had hopes for a more earthly force, too. "I'm no politician," he said. "But the senator from Chicago - it seems like he's got some good ideas." The dentist from the Bavarian town of Neu-Ulm is now under investigation for assault and theft after arriving at the woman's home with his medical instruments to perform the unwanted surgery. According to police, the dentist knocked on the door of the 35-year-old woman on Monday evening and without saying a word forced her into her living room and tied her hands. In a scene reminiscent of the movie Marathon Man, he then forced open her mouth and removed the £320 worth of dental work which the woman's insurance company had refused to pay. According to the victim, he never said a word. French postal workers went on strike Tuesday to protest plans for the partial privatisation of a state service seen by many as one of France's most prized institutions threatened by EU liberalisation. ....Jean-Claude Mailly, leader of the Force Ouvriere union, said postal workers had sent "a clear message to the government" of President Nicolas Sarkozy. "Public services are not created to be profitable, but to be efficient", he insisted. With Goldman Sachs and Morgan Stanley becoming commercial banks, and the other three big investment banks/brokerage houses being acquired by commercial banks, politicians and the press won't have Wall Street to kick around anymore. Headlines now shout about a $700 billion "Bailout for Wall Street." Yet strictly speaking, Wall Street as we knew it no longer exists. The conversion or absorption of all five of Wall Street's big investment banks into commercial banks raises several intriguing issues. Wall Street was always a metaphor, of course, but so are words like "bailout" and "toxic" debt. Nationalization of Fannie Mae and Freddie Mac was a bailout for creditors (who received windfall gains), not for stockholders or executives. The federally enforced shotgun marriage between J.P. Morgan and Bear Stearns at the initially ridiculous price of $2 a share was no bailout for Bear. The 11.3% federal loan to AIG, contingent on the potential expropriation of 80% of shareholder value, is no bailout either. By contrast, what was done to stop a run on the money-market funds is a real bailout which could encourage them to hold risky paper and also make it tougher for commercial banks to attract deposits. The proposal to buy up mortgage-backed securities is a bailout too, though the beneficiaries are not just the tattered remains of Wall Street. The bailout consists of shifting the risk of loss to taxpayers. Actual losses could not reach $700 billion unless the securities were literally worthless, which would mean the value of the underlying real estate fell to zero. What was "toxic" for investment banks is not equally toxic for the Treasury Department because the government does not even bother to keep a balance sheet, much less abide by mark-to-market accounting rules. A powerful motive for converting investment banks into commercial banks is to get around those onerous balance-sheet rules that required fire-sale pricing of securities that were virtually unmarketable during a panicky scramble for liquidity. ...the vast accumulation of toxic mortgage debt that poisoned the global financial system was driven by the aggressive buying of subprime and Alt-A mortgages, and mortgage-backed securities, by Fannie Mae and Freddie Mac. The poor choices of these two government-sponsored enterprises (GSEs) -- and their sponsors in Washington -- are largely to blame for our current mess. If they were not making mortgages cheaper and were creating risks for the taxpayers and the economy, what value were they providing? The answer was their affordable-housing mission. So it was that, beginning in 2004, their portfolios of subprime and Alt-A loans and securities began to grow. Subprime and Alt-A originations in the U.S. rose from less than 8% of all mortgages in 2003 to over 20% in 2006. During this period the quality of subprime loans also declined, going from fixed rate, long-term amortizing loans to loans with low down payments and low (but adjustable) initial rates, indicating that originators were scraping the bottom of the barrel to find product for buyers like the GSEs. The strategy of presenting themselves to Congress as the champions of affordable housing appears to have worked. Fannie and Freddie retained the support of many in Congress, particularly Democrats, and they were allowed to continue unrestrained. Rep. Barney Frank (D., Mass), for example, now the chair of the House Financial Services Committee, openly described the "arrangement" with the GSEs at a committee hearing on GSE reform in 2003: "Fannie Mae and Freddie Mac have played a very useful role in helping to make housing more affordable . . . a mission that this Congress has given them in return for some of the arrangements which are of some benefit to them to focus on affordable housing." The hint to Fannie and Freddie was obvious: Concentrate on affordable housing and, despite your problems, your congressional support is secure. INDIANAPOLIS — A shortage of road salt and skyrocketing salt prices could mean slippery roads this winter in communities across the nation as officials struggle to keep pavement clear of snow and ice without breaking their budgets. Heavy snow last year heightened demand for salt, and now many towns can't find enough of it. The shortage could force many cities to salt fewer roads, increasing the risk of accidents. Other communities are abandoning road salt for less-expensive but also less-effective sand or sand-salt blends. ....Prices have also tripled from a year ago. The salt industry says the increased demand and higher fuel costs are to blame. ....Road salt — which, unlike table salt, is sold in large crystals — is transported by barge and truck from mines in Kansas, Louisiana and Texas. Some is shipped from as far away as Chile in South America. In a move that will hit millions of middle-class households [in the UK] some of the largest of the country's pension providers have decided to use customers' postcodes to determine the exact size of their annuity. This means that people living in middle-class areas such Surrey, Sussex and Buckinghamshire will receive as much as £230 a year less in annual income than people living in parts of Manchester or Glasgow – even if they have invested exactly the same amount into their pension throughout their career. According to financial experts, more than half of new pensions are subject to postcode pensions after Norwich Union became the third major provider to adopt the system in the last year, following Prudential and Legal & General changing their business models. By next year, the entire market will have switched to the system, predicted Nigel Callaghan at independent financial advisors Hargreaves Lansdown . ....Under the new system, Norwich Union customers that come to retirement will be examined on their health, marital status, and on their address, with the insurer taking into consideration the entire post code – which refers to exact streets in 1.5 million different areas of the country. ....The biggest winners are people who live in Scotland, which has the lowest life expectancy in the UK. Mitsubishi UFJ, Japan's largest bank, agreed to pay the equivalent of $8.4 billion buy 10 percent to 20 percent of Morgan Stanley, the bank said, adding that it will start due diligence on Morgan Stanley before determining a final price. ....The deal may mark the biggest overseas acquisition by a Japanese financial company. Nomura Holdings, the largest Japanese securities firm, is close to acquiring European and Asian assets of Lehman, three people familiar with the matter said today. "The purpose for the investment is to strengthen the investment banking business globally," said Hirokazu Ushio, a Tokyo-based spokesman at Mitsubishi UFJ. Like Nomura, Mitsubishi UFJ has struggled to expand outside Japan, leaving it vulnerable to a slowing domestic economy. The bank was formed in October 2005 after a merger between Mitsubishi Tokyo Financial Group and UFJ Holdings. Morgan Stanley ranks sixth globally in advising on mergers and acquisitions, 47 slots above Mitsubishi UFJ, according to Bloomberg data. In equity underwriting, Morgan Stanley is fifth while the Japanese bank is No. 100. ....The supercomputers housed in the data centres, which can be the size of football pitches, use massive amounts of electricity to ensure they do not overheat. As a result the internet is not very green. Fans of Sarah Palin are snapping up a pair of red shoes she wore on the campaign trail. Designer Naughty Monkey said its 'Double Dare' peep-toe heels have been flying off the shelves since they were worn by the 44-year-old U.S. vice-presidential candidate who has galvanised the Republican campaign. 'Everyone is after these shoes,' a spokesman said. 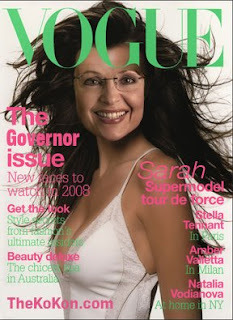 ....The shoe craze follows a similar rush to snap up the $375 glasses Mrs Palin wore at the Republican convention. Alaska’s oilfield service and support companies continue to find opportunity to provide technical expertise to the efforts to develop natural resources in the Russian Far East (RFE). Alaska’s ties to Russia are historically strong. In the past decade the interest of Russian officials in Alaska’s economic development models has emerged. There has been particular interest by Russian representatives in understanding the experiences of Alaska as a result of the Alaska Native Claims Settlement Act and the establishment of Alaska Native corporations. Three important visits occurred in 2006. In February, Kamil Shamilievich Iskhakov, Plenipotentiary Representative of the President to the Far Eastern Federal District, and Chukotka Governor Roman Abramovich, visited Alaska to meet with state officials, Native corporation officials, economists, and other economic development experts. In May, the Council of Federation’s committee for Northern issues came to Alaska. Sergey Matveev, a Council of Federation representative and first deputy chairman of the Council’s Committee on Issues of the Northern Territories and Indigenous Minorities, led the 2006 delegation. In the summer, Representative Iskhakov returned with an extremely high-ranking delegation of more than 50 officials, including nine governors of the Russian Far East and the elected heads of most of the RFE provincial legislatures. The U.S. Coast Guard’s 17th District and the Russian Federal Security’s North-Eastern Coast Guard Department have cooperated closely in observing and protecting marine resources in the North Pacific Ocean since 1992. Their cooperation promotes safe and legal operations in convention areas and their regular exchanges on fisheries-related situations are part of successful management of the North Pacific and Bering Sea. The Institute of the North, an educational and research non-profit organization in Anchorage, continued its work with the Russian Federation on issues of improving infrastructure related to aviation and transportation corridors, telecommunications and marine links. Former Alaska Governor Walter J. Hickel, founder of the Institute, co-chaired a conference in Moscow on Transport Mega Projects of the 21st Century, which primarily focused on the concept of a tunnel being constructed linking Alaska and the Russian Far East. The Institute will also be hosting the Arctic Energy Summit Technology Conference in Anchorage in October 2007, which will include energy experts from Moscow, Khanty-Mansisyk and other regions of Russia. Rosie Santizo, one of their most popular and visible employees in the 1990s, had died at age 29. Santizo, who was from Bellevue, had been working for the Israeli baseball league as part of her goal of becoming a major-league general manager. She was killed in a traffic accident in Jordan. ....Many Mariners fans remember her for her beyond-the-call-of-duty work as a ball girl down the left-field line at the Kingdome. Santizo gained national attention during one 1998 game against Toronto when she came off her stool and dived after a ball hit into the corner by the Blue Jays' Craig Grebeck. The only problem was, it was fair. Luckily, Santizo's sprawling attempt to flag down the ball barely missed. The umpire awarded Grebeck a ground-rule double. The Kingdome crowd went crazy in saluting Santizo. Her efforts were shown on highlights shows coast to coast. And Santizo, just 19 at the time, reacted with the charm and humor that were her hallmark. "In midair, I was so fired," she told a reporter. ....After leaving the Mariners, Santizo began to make her mark in another area — helping Latin players. Of Guatemalan descent and fluent in Spanish, she worked for the Red Sox teaching English in their Dominican Republic baseball academy, and also developed a career-development education program that is still used by the Red Sox's international players. From which Sarah can hide? I would have thought that a vice presidential candidate who is hiding from reporters and whose first speech had included a huge whopping lie--her claim to have opposed the so-called "Bridge to Nowhere"--cannot be a success: the vulnerabilities Palin creates were unnecessary and could have been avoided with the least attention to vetting. Such a decision as McCain's decision to anoint the unvetted Sarah Palin cannot be vindicated any more than a decision to play a round of Russian Roulette can be vindicated. The wonder of how a woman is changing the nature of American politics, causing selected Democrats who were only pounding another woman, a Democrat, a month ago to become frantic beyond Abbott and Costello. "Hey, Abbott." What a lone Republican woman has wrought. Who could have dreamed of such woman power, first a Democratic woman, second a Republican woman? I love it when men get so frantic. Advisers to Barack Obama said Hillary Rodham Clinton was their best surrogate to counter the Republican ticket’s new drive to win over women. What odds are offered atTradesports on who will be the next commenter to be deleted by Professor DeLong? NASHUA, New Hampshire (CNN) — Joe Biden told supporters at a town hall Wednesday afternoon that Barack Obama might have been better off choosing Hillary Clinton as his running mate. “Make no mistake about this, Hillary Clinton is as qualified or more qualified than I am to be vice president of the United States of America. Let’s get that straight,” Biden said testily when a voter told Biden he was glad the Delaware senator had been chosen and not Clinton. The animal is believed to have been with his 59-year-old owner when she was found hanging from the ceiling of her Paris flat. Police believe it was suicide but her family demanded a murder investigation. During a preliminary hearing the pet was led into the witness box by a vet to see how it reacted to a suspect. French judge Thomas Cassuto praising the animal for his "exemplary behaviour and invaluable assistance". Twenty four of them. Take that Dr Johnson. ....Ramchandra Katuwal, of Khandbari municipality in Sankhuwasava, and his wife recently celebrated their seventh wedding anniversary. ....He first got married when aged 26 at his home about 600km (373 miles) east of the capital, Kathmandu. From then onwards his life veered from one disastrous marriage to another. His first wife set a precedent followed by many of her successors: she eloped with her lover. "My second wife also ran away," he said, "and the third one too. From the succession of wives who came and went over a 16-year period, Mr Katuwal says that he can only remember nine of them clearly. ...she and her husband have, for decades, run a company in the highly politicised commercial fishing industry, where holding on to a licence requires considerable nous and networking skills. Her rise from parent-teacher association to city council gave her a natural political base in her home town of Wasilla. Going on to become mayor was a natural progression. Wasilla's population of 9,000 would be a small town in Britain, and even in most American states. But Wasilla is the fifth-largest city in Alaska, which meant that Palin was an important player in state politics. Her husband's status in the Yup'ik Eskimo tribe, of which he is a full, or "enrolled" member, connected her to another influential faction: the large and wealthy (because of their right to oil revenues) native tribes. ...a seat on, and subsequently the chairmanship of, the Oil and Gas Conservation Commission... launched her into the politics of Alaska's energy industry. Palin quickly realised that Alaska had the potential to become a much bigger player in global energy politics, a conviction that grew as the price of oil rose. Alaska had been in hock to oil companies since major production began in the mid-1970s. As with most poor, distant places that suddenly receive great natural-resource wealth, the first generation of politicians were mesmerised by the magnificence of the crumbs falling from the table. Palin was the first of the next generation to realise that Alaska should have a place at that table. Her first target was an absurd bureaucratic tangle that for 30 years had kept the state from exporting its gas to the other 48 states. She set an agenda that centred on three mutually supportive objectives: cleaning up state politics, building a new gas pipeline, and increasing the state's share of energy revenues. This agenda, pursued throughout Palin's commission tenure, culminated in her run for governor in 2006. By this time, she had already begun rooting out corruption and making enemies, but also establishing her bona fides as a reformer. With this base, she surprised many by steamrollering first the Republican incumbent governor, and second, the Democratic former governor, in the election. Far from being a reprise of Mr Smith Goes to Washington, Palin was a clear-eyed politician who, from the day she took office, knew exactly what she had to do and whose toes she would step on to do it. The surprise is not that she has been in office for such a short time but that she has succeeded in each of her objectives. She has exposed corruption; given the state a bigger share in Alaska's energy wealth; and negotiated a deal involving big corporate players, the US and Canadian governments, Canadian provincial governments, and native tribes - the result of which was a £13 billion deal to launch the pipeline and increase the amount of domestic energy available to consumers. This deal makes the charge of having "no international experience" particularly absurd. In short, far from being a small-town mayor concerned with little more than traffic signs, she has been a major player in state politics for a decade, one who formulated an ambitious agenda and deftly implemented it against great odds. You talkin' to me, Paul? ...when you look at what pundits call the red state heartland, you are looking at the Republic of Redneckia. As to having our delicate beer-sodden feelings protected from the term redneck; well, I appreciate the effort, though I highly suspect that the best way to hide snobbishness is to pose as protector of any class of folks you cannot bear. Thus we are being protected by the very people who look down on us - educated urban progressives. ....we are defiant and suspicious of authority, and people who are "uppity" (sophisticated) and "slick" (people who use words with more than three syllables). Two should be enough for anybody. And that is one of the reasons that, mystifying as it is to the outside world, John McCain's choice of the moose-shooting Alaskan woman with the pregnant unmarried teen daughter appeals to many redneck and working class Americans. We all understand that there is a political class which dominates in America, and that Sarah Palin for damned sure is not one of them. And the more she is attacked by liberal Democratic elements (translation: elite highly-educated big city people) the more America's working mooks will come to her defence. Her daughter had a baby out of wedlock? Big deal. What family has not? She is a Christian fundamentalist who believes God spat on his beefy paws and made the world in seven days? So do at least 150 million other Americans. She snowmobiles and fishes and she is a looker to boot. She's a redneck. ...Alaska Gov. Sarah Palin, 44, has stolen the campaign's style spotlight, causing a run on Kawasaki 704 eyeglass frames and upswept hairstyles. But far from uglifying herself, she plays up her sexuality. And this early on, Palin is already playing the image game like a pro. When Sen. John McCain accepted the nomination Thursday night, she wore a black satin jacket that dipped just low enough in front so you could see some cleavage. In this political marriage, Palin clearly knows she's the trophy. ...for dividend income, Senator Obama has proposed only a modest increase in the top tax rate, to 20 percent from 15 percent. That is, the personal income tax would continue to tax dividends at a far lower rate than ordinary income. This decision must surprise many of his Congressional supporters. But it should be making President Bush smile. By contrast, if Mr. Obama is elected, Congressional Democrats will be less likely to balk at his proposed 20 percent dividend tax rate and thus embarrass the new president from their own party. This leads to one of the great ironies of the political season. On the issue of dividend taxation, Barack Obama may be the candidate with the best chance of preserving George Bush’s legacy. What struck me as I watched the convention speeches, however, is how much of the anger on the right is based not on the claim that Democrats have done bad things, but on the perception — generally based on no evidence whatsoever — that Democrats look down their noses at regular people. It never ceases to amaze me how the Left falls again and again into the old trap of underestimating politicians whom they don't understand. From Ronald Reagan and Margaret Thatcher to George Bush and Mrs Palin, they do it every time. Because these characters talk a bit funny and have ridiculously antiquated views about faith, family and nation, because they haven't spent time bending the knee to the intellectual metropolitan elites, they can't be taken seriously. So the general expectation was that Mrs Palin would stumble on to the stage in high heels, clutching her sprawling, slightly odd family (five children! how weird), mispronounce the name of the Russian Prime Minister, mutter a few platitudes about God, and disappear for ever to a deafening chorus of sniggers. No one paid much attention to the fact that she had been elected governor of a state. Or that she got to that office not because, unlike some politicians I could mention, her husband had been there before her, or because she bleated continuously about glass ceilings, but by challenging the entrenched interests in her own party and beating them. In almost two years as Governor she has cleaned out the Augean stables of Alaskan Government. You don't win a statewide election and enjoy approval ratings of more than 80 per cent without real political talent. Never mind all that. She didn't have a passport! She was a former beauty queen! It was so axiomatic that she was a disaster that I was told by lots of savvy men - with deliciously unconscious sexism - that the real problem was what the choice said about Mr McCain and his judgment: cynical, irresponsible, clueless. It was as if Mrs Palin wasn't really a human being at all, but an article of Mr McCain's clothing that showed his poor taste, like wearing brown shoes with a charcoal suit. When we got out of the bus, Mary Hudson stuck right with us. I'm sure that by the time we reached the baseball field there was on every Comanche's face a some-girls-just-don't-know-when-to-go-home look. And to really top things off, when another Comanche and I were flipping a coin to decide which team would take the field first, Mary Hudson wistfully expressed a desire to join the game. The response to this couldn't have been more clean-cut Where before we Comanches had simply stared at her femaleness, we now glared at it. She smiled back at us. It was a shade disconcerting. Then the Chief took over, revealing what had formerly been a well-concealed flair for incompetence. He took Mary Hudson aside, just out of earshot of the Comanches, and seemed to address her solemnly, rationally. At length, Mary Hudson interrupted him, and her voice was perfectly audible to the Comanches. "But I do," she said. "I do, too, want to play!" The Chief nodded and tried again. He pointed in the direction of the infield, which was soggy and pitted. He picked up a regulation bat and demonstrated its weight. "I don't care," Mary Hudson said distinctly, "I came all the way to New York - to the dentist and everything - and I'm gonna play." The Chief nodded again but gave up. He walked cautiously over to home plate, where the Braves and the Warriors, the two Comanche teams, were waiting, and looked at me. I was captain of the Warriors. He mentioned the name of my regular center fielder, who was home sick, and suggested that Mary Hudson take his place. I said I didn't need a center fielder. The Chief asked me what the hell did I mean I didn't need a center fielder. I was shocked. It was the first time I had heard the Chief swear. What's more, I could feel Mary Hudson smiling at me. For poise, I picked up a stone and threw it at a tree. We took the field first. No business went out to center field the first inning. From my position on first base, I glanced behind me now and then. Each time I did, Mary Hudson waved gaily at me. She was wearing a catcher's mitt, her own adamant choice. It was a horrible sight. Mary Hudson batted ninth on the Warriors' lineup. When I informed her of this arrangement, she made a little face and said, "Well, hurry up, then." And as a matter of fact we did seem to hurry up. She got to bat in the first inning. She took off her beaver coat - and her catcher's mitt - for the occasion and advanced to the plate in a dark-brown dress. When I gave her a bat, she asked me why it was so heavy. The Chief left his umpire's position behind the pitcher and came forward anxiously. He told Mary Hudson to rest the end of her bat on her right shoulder. "I am," she said. He told her not to choke bat too tightly. "I'm not," she said. He told her to keep her eye right on the ball. "I will," she said. "Get outa the way." She swung mightily at the first ball pitched to her and hit it over the left fielder's head. It was good for an ordinary double, but Mary Hudson got to third on it - standing up. When my astonishment had worn off, and then my awe, and then my delight, I looked over at the Chief. He didn't so much seem to be standing behind the pitcher as floating over him. He was a completely happy man. Over on third base, Mary Hudson waved to me. I waved back. I couldn't have stopped myself, even if I'd wanted to. Her stickwork aside, she happened to be a girl who knew how to wave to somebody from third base. ...merely an attempt to make adjectives sound like analysis. ....serious thought is not on Phillips's agenda. ....Even the better parts of Phillips's book fail to give a serious account of what has happened in the capital market and the channels through which it affects the modern economy. And those parts are interspersed with passages of surpassing ignorance. ....Phillips criticizes National Income and Product Accounts because they do not prominently display figures on the sharply rising volume of private debt. But this lapse is owed to the fact that the National Income and Product Accounts are about, well, national income and product. They are more like an income statement, and certainly not like a balance sheet. There is no reason, of course, why the Department of Commerce should not inform interested citizens about the standing volume of debt, but there is also no reason why the absence of those figures from the accounts should be treated as a dark conspiracy against the public. The debt figures are readily available in other government documents. ....Then--this is a book about bad money, after all--Phillips turns to the dollar, and a certain amount of confusion descends. Some of it rests on the almost universal bad habit of treating the high exchange value of the dollar--a "strong" dollar--as a matter of national pride. "Defending" the dollar sounds a lot like defending Old Glory. Too many secretaries of the treasury, some of whom must have known better, have adopted that mantra, though they have usually refrained from acting on it. Phillips seems to share this error. At one point he describes China's accumulation of foreign-currency reserves, mostly dollars, as giving it "the wherewithal to defend [its] own currency." In a way, exactly the opposite is true: China acquired the dollars in order to "anti-defend" its currency, that is, to prevent its exchange value from rising; and those same treasury secretaries have been urging the Chinese to allow the renminbi (RMB) to strengthen, which is to say, to allow the dollar to weaken against the RMB. The weaker dollar of recent years has promoted the exports that have lately been keeping the American economy afloat. This is all about exports and imports, not about the rockets' red glare. NANOTECHNOLOGY, the science of manipulating matter at the molecular and atomic scales, is bringing revolutionary changes to the world of electronics. Now, a Seattle-based team of scientists, engineers and venture capitalists believes their year-old start-up company, Modumetal Inc., will use the technology to revolutionize a process that hasn't changed much since the industrial revolution - the production and use of metals. The company believes it can produce materials that are substantially lighter and stronger than steel. If successful, the 11-member company could save lives by replacing the traditional protective body and vehicle armor used by the military with a lighter, more durable metal. In fact, putting the metal to work for the military is Modumetal's immediate goal as the United States struggles in Iraq to defend against such instruments of asymmetrical warfare as improvised explosive devices. "We're working every day to develop a system that can help alleviate that problem," says Christina Lomasney, co-founder, president and CEO of Modumetal, who has a personal stake in the potential military applications: Two of her five brothers serve in the U.S. Marine Corps. Meanwhile, the broader commercial applications are tantalizing. The metal the company is developing could be used in everything from cars and airplanes to garage tools and household products, infusing them with lighter and more durable properties, extending their shelf life and saving on a variety of costs, including fuel. Imagine making your own bold geopolitical statement by driving an SUV that is vastly lighter and sturdier than current models, and therefore conserves more fuel, treads lightly on the earth and is much safer to drive. An Irish insurance company is promising discounts of up to 40% for young drivers that commit to not driving on Friday and Saturday evenings, the worst times for crashes involving young people. The move comes after a report from the Republic’s Financial Regulator found insurers were making huge profits on young drivers. The report revealed insurance companies are making profits of €1,172 (£954) on average on some young drivers compared with €290 (£236) for other drivers. XS Direct claims it will knock as much as €1,000 off the cost of insuring young drivers if they keep the terms of a weekend curfew. The British Army is becoming more Irish by the day, it was revealed today. More and more recruits from the Republic of Ireland are flocking across the border to sign on to fight for Queen and Country. Army Recruitment in Northern Ireland revealed that 16% of all those enlisting since April were from south of the border - up from the 10.5% recorded in the previous year. ....There has been a centuries old tradition of Irishmen joining the British Army - one which has been rekindled following the ending of conflict in Northern Ireland. Socialist politicians in regional governments and town councils nationwide have been asked to tighten their belts by party leader and Prime Minister José Luis Rodríguez Zapatero as he seeks to rein in profligate public spending. The austerity measures, including salary freezes, were agreed Monday by Zapatero and other senior Socialists at the first meeting of the party's leadership committee following summer vacations that were clouded by the worsening outlook for the Spanish economy.